Shared spectrum is the new mantra, but aggregate interference is the common refrain. We’ll explore at a high level why long distance propagation prediction is becoming a critical, yet poorly-constrained, limit on spectrum sharing. Thank you to all the 2018 Fall Social Sponsors! Annual Fall Social which follows the IEEE BTS Symposium. As we move forward into the 2018-2019 fiscal year I wanted to provide an update on some of AFCCE’s activities and encourage your active participation in AFCCE happenings and events. 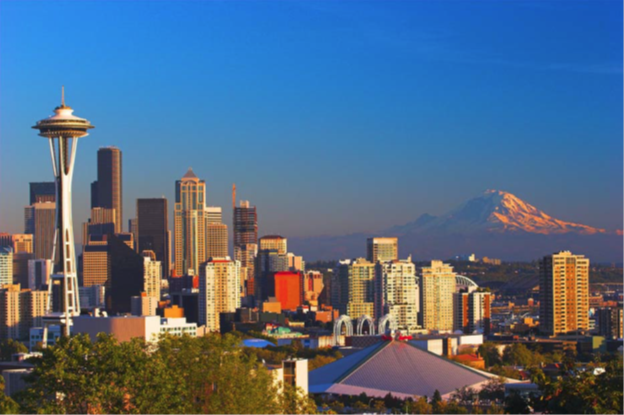 AFCCE held its 70th Annual Meeting last weekend in Seattle. The meeting included a tour of five historic AM transmitter sites on Vashon Island, just west of the city. The group picture below was taken on KVI Beach next to the KVI 570 tower. The Association of Federal Communications Consulting Engineers joins in celebrating the life of one of our longest active members, Dr. Byron St. Clair, who passed away May 20th at age 93 after a brief illness. Mr. Walke will give a presentation on the recent FCC Notice of Proposed Rulemaking on Streamlining the FM Translator Rules. A look back in time to 1906 at what may be considered to be the first radio broadcast, the technology employed, as well as the events leading up to this event.